According to Swedish law, all of these returnees should be charged for having made preparations to commit crimes, as well as accepting an employment to perform illegal acts. Swedish law prohibits all of this. It also bans giving/receiving of payments to commit crimes. Additionally Swedish law also prohibits facilitating crimes. All of this is spelled out in our penalcode (i.e ”Brottsbalken”) chapter 23, paragraph 2. This in combination with the swedish ban against terrorism (”Lag (2003:148) om straff för terroristbrott” paragraph 4), which broadens the criteria of guilt to include conspiring to commit terrorism – makes the legal case even more clear cut. [II] In accordance with these laws, all returnees should all be prosecuted for preparations to commit murder, enslavement or terrorism – seeing as these are the main activities pertaining to ISIS. All who joined ISIS must have known that they volunteered to commit, or assisted others in committing terrorism. They have also received a salary for their willingness to perform illegal tasks if commanded to. Whether one can be proven to have committed an act of terror, the standard applied currently, should not be relevant to the criminal activity of preparing or conspiring to commit a crime, a preparation that is fulfilled by simply traveling to ISIS-controlled territory and joining their ranks. As a comparison, in 2016 a man was convicted of planning a murder when he traveled to his ex-partner with a knife and an axe in his car. The women was warned by friends of the man, that he harbored murderous intentions. Another man has been convicted for the act of travelling armed only with a hammer, to a place where he wrongfully believed his potential victim lived. The court decided that the potential victims life was never in danger, but still upheld the law by convicting the man for preparing to commit murder. Yet another person has been convicted of planning to steal a jacket, in this case for cutting of the alarm attached to it. The swedish high court, our supreme judicial authority, has also convicted a man for planning to travell to a bank with the purpose of robbing it. This latest case has the power of legal precedence, seeing as the case was seatled by the supreme court. The case should be a point of guidance for our legal system, a dissenting judge even noted in this case – that local courts have a high level of freedom to interpret at what stage the ”planing”-phase of a crime can be said to bave begun. [III] Which means that even if the issue of returnees stod on shaky grounds, the courts would still possess the prerogative to make novel interpretations of the law. All these facts point to one conclusion. Ask yourself, how could signing a contract not be considered an act falling under this description? Isn’t the signing of a contract, for the purpose of agreeing to perform a service for an organisation, to take something upon onself? 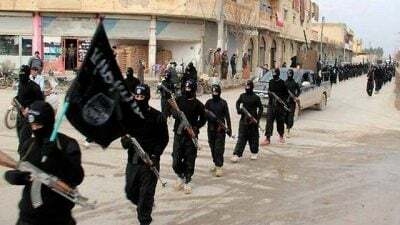 By travelling to a conflict zone and signing up as fighters for a terror group in the area were they are activly commiting their atrocities, all ISIS-returnees have committed far greater preperations for crimes, than all the swedish legal cases just mentioned. Even if a man joined ISIS, only to do non-violent acts in order to earn his paycheck, let us say he simply repaired cars – these vehicles are still used to transport slaves and travel to hotspots to commit murder. In other words he is still facilitating crimes, which as previously mentioned is outlawed as well. Both the law and legal precident, demand that returnees are charged, but the swedish authorities remain passive on the issue. One thing should be clarified, the swedish government has instituted a specific ban against travelling to join terrorgroups, but this ban was instituted to late, late enough so that most ISIS-returnees can not be prosecuted under this law. Seeing as they travelled before the prohibition was put into effect. Some ISIS-members are prosecuted, but only if they admitt to or can be proven to be guilt of concrete violations that they as individuals have committed (by which i mean other violations than that the act of preparing crimes, a transgression that they are all guilty of – by definition). This womensgroup did not act in an unusual or unproductive way, laws do not exist in a vacuum but must instead be interpreted. Taking a case to court can radically change how laws are applied and how society functions. To take an American example, Lochner v. New York was one simple case that dramatically changed working life of New Yorkers and started what was called the Lochner era. Other parties have also filled police reports on separate occasions [VI]. This dramatic devolpment from taking a single case to court, is of course possible in Swedens own legal system as well. The Swedish retailer ICA once started selling alchohol, in hopes of having the statemonopoly on alcohol overturned by a judge. Through applying legitimate pressure, our parties could ensure that new guiding documents and policies were produced to guide attorneys in taking the same proactive approach regarding prosecuting on the issue of preparing to commit crimes. They could help create a new precident that would bring redress to the victims of ISIS, by starting a chain reaction of having all returnees charged. They would stand nothing to lose. Despite this the major parties all ignore this option, most of them even ignored my emails. Except for two spokesperson, one for the Liberal party and one for the Green party. Take note that liberal in the swedish sense is closer to ”classical liberal” or libertarian (i.e ”small goverment”-advocates), rather than the American meaning of liberal (as being left of center). The spokesperson for the liberal party responded by asking if a prosecution against the ISIS-returnees was even possible. I recommended that he contact the Swedish security police Säpo (I was referred there myself when I tried to take the issue to court) to find out. I also asked him if the liberal party finds it problematic, if indeed it would turn out to be true that the ISIS-returnees were impossible to file a policereport against. He has not responded to my follow up questions. The Green Party responded by stating that they did not have any need to file a police report. It is unclear whether their spokesperson understood the reasoning behind the Social democrats women’s group. Their spokesperson also insisted that the constitution was not worth changing in this case (this constitution amendment a last case scenario that will be explained in detail below). I asked if her inaction on the issue did not violate the golden rule (the principle of treating others as one would wish to be treated), would not she have wanted all necessary measures to be taken if she were one of the victims of ISIS? Would she have found her own response sufficient, if she imagined herself in such a role? She did not respond to this question. Upon repeated attempts to contact them, the left party finaly responded. In a similar manner to the green party, they chose not to act. None of the other parties have responded at all. His name is Michael Skråmo. How can one not look upon a white man born in Sweden travelling to a terrorist organisation in a third world country, signing a countract to kill for them and accepting a paycheck to do their bidding, facilitating their crimes against the local population – and not see the immense bigotry of the Swedish state choosing to not at least try and prosecute people like him upon returning to his homeland. The government agency responsible for crime prevention, has notet that: ”If the potential plaintiff [i.e victim] is swedish and the accused seems to be of foreign origin the propensity to investigate crime increases. But if both parties seem to be of foreign origin, the results are reveres: in these cases the police are less eager to start an investigation”. This pattern was observed regarding the phenomenon physical abuse. I would wager that it is a pattern that applies to law and order more generally. Doesn’t this pattern fit well as an explanation for the government’s inaction? To me it seems like swedish authorities have in their bigotry (subconsciously) excluded the perpetrators from the swedish identity, and the victims from their moral sphere of concern. They seem to view the incident as ”an ingroup problem” for ”arabs” or ”muslims” – not something that ”real swedes” should be concerned about. Let us look closer at the previous case of the 79 year old man convicted of hate speech. The action of writing ”arab swines go home” is definetly immoral, but is this elderly man really a threat to anyone? Most likely not. Swedish muslims and Swedes with arabic ethnicity, could at most be offended by his activity. The swedish state values their feelings enough to prosecute, but it does not value the physical safety and freedom of people belonging to the third world, enough to even attempt to prosecute swedish inhabitants who travell far away to murder and enslave these third world:ers. ISIS has declared war on all shia muslims, and there are reports of them attempting to cleans the areas they conquered of all shias. ISIS have also been conducting a genocide against middle eastern christians. [IX]. As a consequence of not being charged, these ISIS-returnees will not be given a fair chance of rehabilitation. The victims of these ISIS-returnees are third world:ers today, but there is little in the way of stopping these victimisers from stealing a truck and killing swedes. We can rarely act immoral towards others, without creating the circumstances for being victimised ourself. The swedish states seems to assume that it can allow members of it’s own people to terrorise the inhabitants of the third world, without consequence – the question is how long this illussion will hold. In fact one ISIS-returnee has already been arrested for a murder he allegedly committed in sweden. The principles at stake here are much larger than these 300 jihadist. Nazis that travelled to fight for the far right in Ukraine around 2014 [X] have also gone without any attempt at prosecution upon their return to Sweden. A conviction against these ISIS-returnees could be the first step against taking these nazi-warriors to court. Some legal objections might be brought fourth here, such as it being necessary for the act to be illegal in both sweden and the countries were the actions were performed, to enable prosecution. This is not a problem in both the cases of Iraq and Syria. Both countries have laws on the books that enables a wide interpretation of terrorism and prosecution of terrorist. Human Rights Watch has even complained that the Iraqi law enables such a wide application that innocent people risk being convicted. Similar criticism has been aimed at Syrias ”Counter-terrorism Law” which contains a number of definition of ”terrorist act, terrorist organization and terrorism financing”, as well other Syrian laws banning ”promoting terrorist [activities]”. [XI] The point being that the laws of these countries are if anything too far reaching, not too modest to hinder prosecutions. Another potential objection, is to claim that the laws I have named are impossible to apply in the ways I advocate – to insist that I am merely an amateur lost in the corridor of paragrafs and convoluted legal principles. If we assume this objection to be true, it only makes one wonder why new laws are not made to serve justice better? In which case the apologist for ISIS point out that the swedish constitution prohibits laws to be enacted for actions that took place before the laws were put into place, and that such enactments would be unethical. This principle is referred to as the ban against ex post facto-law (”retroaktiv rättstillämpning” in swedish). Ex post facto-law means to change a current law or make a new law that retroactively alters a defendant’s rights, by criminalizing and imposing punishment for an act that was not punishable at the time it was committed, increasing the severity of already existing punishment or changing the criteria for the determination of guilt. The problem with this argument, is that it assumes that the constitution can not be amended to include exemptions to legal principles. Something that is not only possible, but done more or less routinely for much less noble goals than providing the victims of terrorism with justice. Introducing Swedens ban against hate speech meant that an exception to our constitutional right to freedom of speech has been put into law, calls from Brussels has also lead to changes in the constitution to solidify our EU-membership. So in other words, our constitutional right to freedom of speech (one of the highest values of a democracy) has been intruded upon to protect the delicate sensibilities of swedish citizens – microaggressions against swedes is seen as more worthy of punishment than terrorism against the third world. With the flick of a pen, the swedish parlament could change our constitution so as to enable prosecution of all ISIS-returnes. We could allow the ban against travelling to join terrorgroups, to be unique in holding the quality of enabling retroactive usage – if we are afraid of government overreach we could also set a time limit to this change in the constitution. So that we are given a decade to prosecute the perpetrators, and then automatically return to legal normality unless the swedish parliament through an overwhelming majority decides to actively prolong this retroactive applicability. As previously mentioned, we have already changed our constitution to enforce our membership in the EU, so when the brussels bureaucrats call for constitutional changes the swedish parlament obliges, but when third world:ers call for justice, nothing is done. And when it comes to the ethical problems of Ex post facto-laws, one must remember that something being unethical in general does not mean that there are no particular cases in which it is allowed or even a moral duty to perform. And also that all ethical principles are not created equal, some may under extreme circumstances be necessary to temporarily part from in order to protect even higher ideals. The trial against nazi war criminals after world war II has been criticized for making use of Ex post facto-laws [XII]. Should we have allowed the nazis go free simply to uphold this one principle, and thereby forsake all other principles of providing justice for past victims and protecting potential future victims? To my knowledge, there seems to be no credibly way of defending the current position of not prosecuting all returning ISIS-members. If prosecutions were to start tomorrow, all would not be found guilty of course, some would successfully claime to have traveled to the area for other reasons. But the people who gloated about their membership in ISIS through socialmedia, or who lack the skill to lie their way out, would at least face justice. If you wan’t to help solve this problem, I have started a petition that I would much appreciate to find your name here. This article was originally published on the author’s blog site: tradet smakade torsdag. Schützer, Karolina (2017/03/09) ”Rapport visar: Hundratals terrorresenärer fick bidrag från svenska staten” SVT. No named author (2007/03/27) ”Förberedelse till mord inte kränkande för det tilltänkta mordoffret” Dagens Juridik. The quote for the robberycase, in the original swedish:”I målet har på vissa åtalspunkter invänts att den s k försökspunkten inte har uppnåtts. TR:n gör i den delen följande allmänna bedömning. I de aktuella fallen hade M.J. planerat rånet och med kamrater och rånarutrustning begett sig till utgångsläget. Därefter har han med någon medgärningsman i den stulna bilen begett sig därifrån mot den utsedda penninginrättningen. Det bestämda syftet var att begå rån och själva rånet skulle utföras i omedelbart samband med bilfärden. Endast mellankommande omständigheter skulle hindra att brottet fullbordades. För den som väntade vid utgångsläget återstod inga åtgärder att utföra för att rånet skulle komma till stånd. Denne kunde inte heller påverka händelsernas vidare utveckling. The quoted paragh taken from the local Malmö branch of the prosecution agencie, has been translated. The original was concentrated to one single sentence, but in order to accommodate the grammar of english it was needed split into two sentences and several commas and a dash (-) was added for the same reason. The original swedish sentence is ”Avvägningen mellan skyddet för yttrandefriheten och skyddet för utsatta grupper är en rättsfråga snarare än en bevisfråga och bör avgöras av domstol genom en dom hellre än av åklagare i form av negativa åtalsbeslut.” (emphasis added) it is taken from (2018/07)”Hets mot folkgrupp på sociala medier – en vägledning” Utvecklingscentrum Malmö, see page 6. [IX] Dujmovic, Robert (2018/03/09) ”79-åring klottrade rasism på toaletter och busskur” Helsingborgs Dagblad.